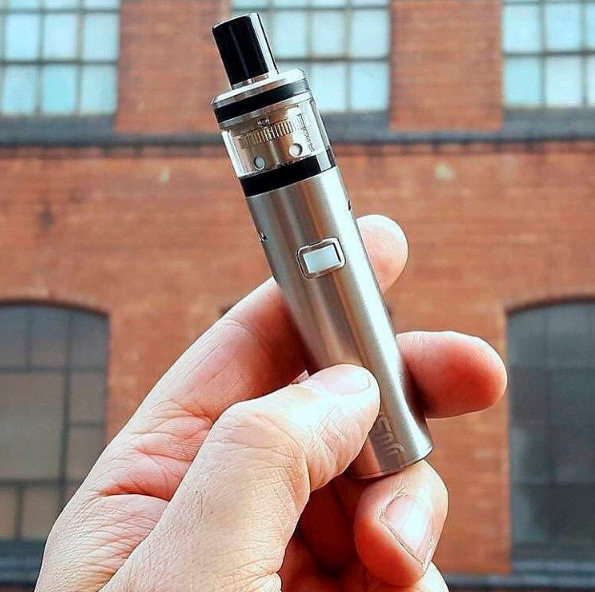 Eleaf iJust series has won over lots of customers thanks to the high-powered battery it uses and its ease of use and simplicity. The iJust one is released by Eleaf. The name was not a random choice. Instead it was given to characterize its integrated, all-in-one build. Because the battery and tank are both installed in a single tube. Its size is very good and compact to carry: the length is only 103 mm. The main features are: a 1100mAh built-in battery, a 2ml tank, a 50W maximum power output and a single button that operates the device. It has a side USB port for easy charging. In terms of security, it has both software and hardware protection for over-charge, over-current and over-discharge. The package of iJust one kit comes with: 1 * iJust ONE (with EC 0.3ohm Head), 1 * GS Air 0.75ohm Head, 1 * EC Sleeve, 1 * Glass Tube, 2 * Silicone Rings, 1 * USB Cable, and 1 * User Manual. The kit is only $16.9 and you can get it at Eleaf® iStick E-Cigarettes Vape Online Store. For the range of options this device gives to a vaper, its price is truly a value for money.